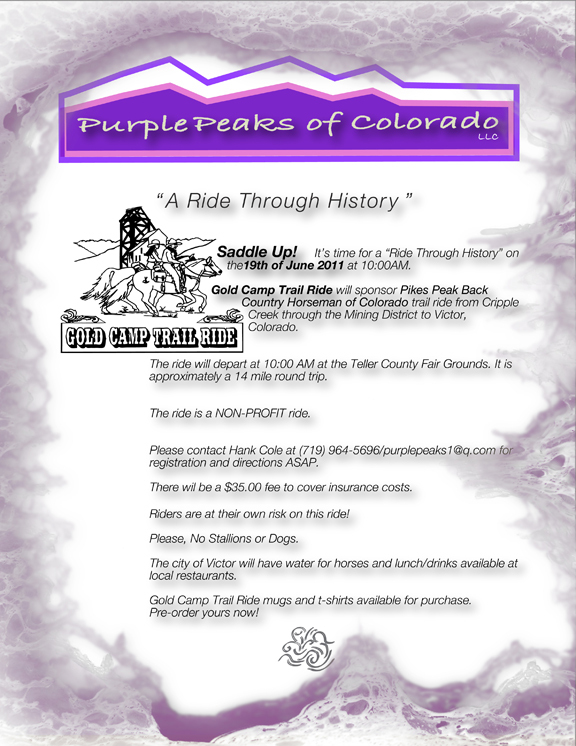 on June 19, 2011 - 10:00AM, Gold Camp Trail Ride will sponsor Pikes Peak Back Country Horseman of Colorado in a trail ride from Cripple Creek through the Mining District to Victor, Colorado. Riders depart from the Teller County Fair Grounds at 10am - approx. 14 mile round trip ride. Water for horses and lunch/drinks for riders available in local restaurants in Victor. Fee: $35 insurance - No stallions or dogs please. The Gold Camp Trail Ride was established in 1998 and traces the historic trail ridden by travelers from Cripple Creek to the mining town of Victor. Historically, this trail provided safe passage for trade and goods between these two important towns. Today, we honor those pioneers with our trail ride following the beautiful sloping terrine of Colorado. 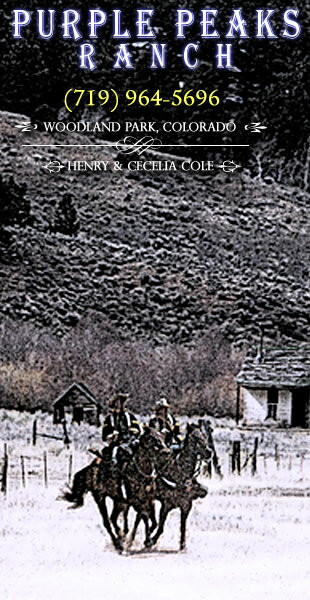 Listen to Back Country Horseman of America members Henry Cole & Sydney Delbanco interviewed by TellerCast News about their 2010 campaign for a BCHA chapter in Teller County, CO.